Engaging an outsourced CFO services firm can result in many potential benefits for a company—especially one that doesn’t have a high degree of financial expertise on staff. This lack of high-level financial sophistication can keep companies from realizing critical goals like improving profitability and increasing shareholder value. A savvy CEO, however, will want to establish a clear business case for engaging a CFO services firm before committing the resources to such an endeavor. Obviously, there is a cost involved in hiring a CFO services firm, both financially and in terms of the time that will be required to bring them up to speed on your company’s financial situation and work closely with them in implementing solutions. Do you know the root causes of the financial challenges your company is facing? Most companies face financial challenges of one kind or another, whether its improving cash flow, boosting profitability, shortening days sales outstanding (DSO), speeding up inventory turns, or managing rapid growth and expansion. The difference between most thriving companies and those that are floundering is often their ability to meet these challenges successfully. Doing so usually requires digging deeper to identify the root causes underlying these challenges. Unfortunately, this can be difficult for existing staff who often have a hard time “seeing the forest for the trees.” An objective outside expert may be able to not only uncover these root causes, but prescribe solutions that could help your company meet long-standing challenges that could lead to future growth and higher profitability. What are the lost opportunity costs of not having access to the kind of strategic planning that a CFO services firm can provide? Perhaps your company is doing well financially—growing sales, meeting profit objectives and increasing shareholder value. However, your financial and accounting staff spends so much time and resources simply gathering and preparing the data that’s necessary just to keep the business humming along that it doesn’t have time to spend on higher-level, big-picture strategic planning. It’s hard to put a price tag on the lost opportunity costs of failing to plan strategically, but few would question that they exist. If you can’t recall the last time that you sat down with your CFO and/or key financial and accounting managers to talk strategically about your company’s future direction, then there’s a good chance that this lack of strategic planning is costing your business—whether you realize it or not. Do your key financial and accounting managers suffer from tunnel vision? The six most dangerous words in business might be: “We’ve always done it that way.” It’s natural for many employees to fall back on this, especially when they have been doing their jobs more or less the same way for many years. Sometimes it takes an independent and objective financial outsider to come in and shake things up a little in order to help existing staff see that there are new, more efficient and often more profitable ways of managing the firm’s finances. How might your company be able to realize a return on its investment in an outsourced CFO services firm? Again, it can be difficult to monetize a specific return on investment for the resources (both financial and otherwise) devoted to engaging an outsourced CFO services firm. But when you consider the potential of such an investment to provide your company with more timely and actionable financial information—which, in turn, can result in increased efficiency, greater profitability and a more strategic outlook on financial management—it’s logical to assume that a tangible ROI exists. 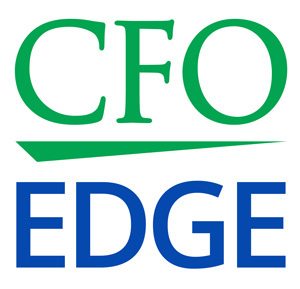 Every company must build its own business case for engaging an outsourced CFO services firm. Doing so involves asking some hard questions, including these and many others. But Los Angeles businesses that are serious about growing strategically and maximizing profitability owe it to themselves to perform the necessary due diligence to determine if engaging a CFO services firm is a smart move for them. In the fourth article in this series, What to Look for in a CFO Services Firm, we’ll detail some of the key traits and characteristics business should look for when considering CFO services firms they might want to work with.